Still a tad under the weather, i.e. still no voice, and not overly hungry but in the need for some healthy and nutritious food that was quick and easy. On hand salmon, asparagus, Perla potatoes, salad bits and pieces and some agave syrup in the pantry, which brought to mind a Giada recipe where she had used the agave syrup, Grilled Salmon with a Citrus Salsa Verde. Bursting with vibrant colours and flavour with the citrus salsa verde cutting through the richness of the salmon, with a little watercress salad on the side for a little peppery kick, a light but satisfying meal. Great if your are craving fresh and healthy food, and good for the day after the night before when you need to revive and nourish. Well it worked for a friend staying with me who had had somewhat of a big night the night before! 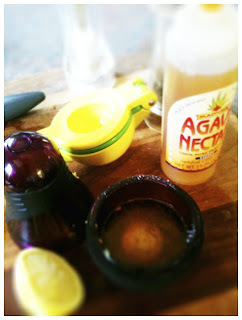 I think it was actually seeing this recipe that turned me on to agave syrup in the first place. Agave: The syrup from the Agave plant has been used by South Americans as a sweetener for thousands of years. It is also held sacred in Aztec lore. According to Aztec legend, the Agave plant was a gift to Quetzalcoatl from the gods when his beloved died. The Agave plant, whose juice was as sweet as his beloved kiss sprung up from the place where she died. Mexico is the leading producer of Agave in the world. Agave is one of the healthiest natural syrups on the market which makes it a great substitute for sugar. 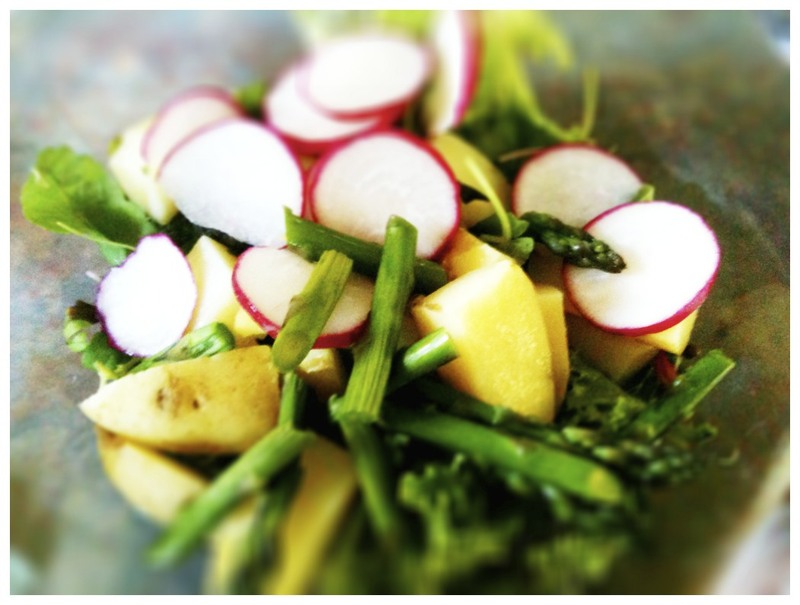 It also naturally contains Iron, Calcium, Potassium and Magnesium. Since Agave syrup only contains fructose, its glycemic index and glycemic load is lower than other sweeteners - another plus! Salmon and Asparagus Salad with Agave Lime Vinaigrette. 1 tsp agave syrup, or brown sugar would work too. Pre heat the oven to 190C. Season the salmon with salt and pepper and drizzle with a little agave syrup. Place in the oven for 15-20 minutes or until almost, just cooked through. It really will depend on the thickness of the fillet. Always best to take it out a moment or 2 before completely cooked through as it will continue to cook. For the asparagus to keep it that beautiful green colour and with a little crunch, bring a pot of salted water to the boil and then add the asparagus for just 1-2 minutes, maybe just a moment more if thicker stalks. I prefer the fine ones myself. If you are using straight away no need to refresh in icy water, which would halt any further cooking and keep the beautiful green colour. 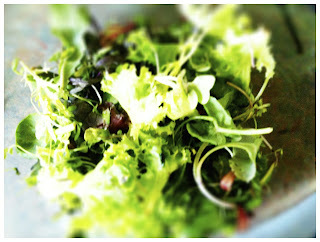 To assembles the salad place salad leaves, I had some lovely mixed leaves from, yes you guessed correctly, Epicurean Supplies, in to a bowl. 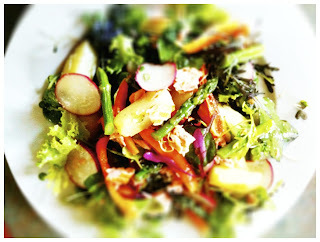 Add the radish, peppers, potatoes, asparagus and flake in the salmon. For dressing shake all the ingredients together in a jar. I like my dressing on the more vinegary side of things rather than the classic 3 oil to 1 vinegar, so adjust quantities to your personal taste. Drizzle a little of the vinaigrette over the salad, just enough to coat everything, if there is a puddle at the bottom of the bowl tis too much. Toss everything gently together and serve immediately. 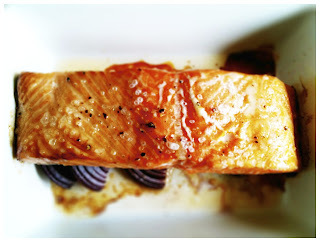 Light, but satisfying at the same time, with the rich salmon and the Perla potatoes, I just always need a little carbs, I could never have been an Atkins girl! 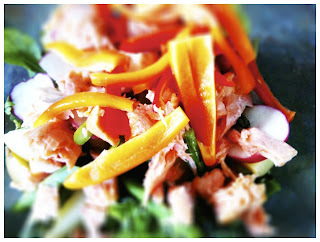 The dressing has the zesty tang of the lime and then a little sweetness which cuts through the richness of the salmon. 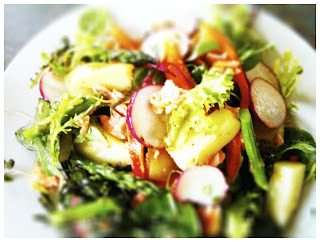 Plus some great colour and texture from all those fresh crunchy vegetables. I've never used agave, in fact I don't think I have ever tried it, now i will need to add it to my shopping list to try with salads.